Students who have involved in a curricular ensemble of GHHS Choral Activities should be able to make a smooth transition into a college choir, community choir or adult choir with the experience necessary to be a competent and educated member. They should be able to take part in and/or listen to choral performances with knowledge, appreciation for and enjoyment of the art form. Concert Choir is open without audition to all GHHS students who are interested in choral singing. Basic vocal training, music reading, and choral singing concepts are taught through a variety of choral literature. The music studied ranges from the Renaissance period through modern music, with difficulty ranging from basic to intermediate. Much attention is given to the fundamentals of singing, such as breathing, tone quality, vowel alignment, expression, blend, balance, and many other concepts that emphasize the correct use of the singing voice. The activities for this ensemble usually include the Fall Concert, the Vocal Music Boosters "Coffee House" Show, Holiday Concert (for the public and for the elementary/middle school students), OMEA Adjudicated Events Seminar, OMEA Adjudicated Events (District/State) and the Spring Concert/Awards Night. Successful performance participation in all of these events is mandatory in order to fulfill the course grades. 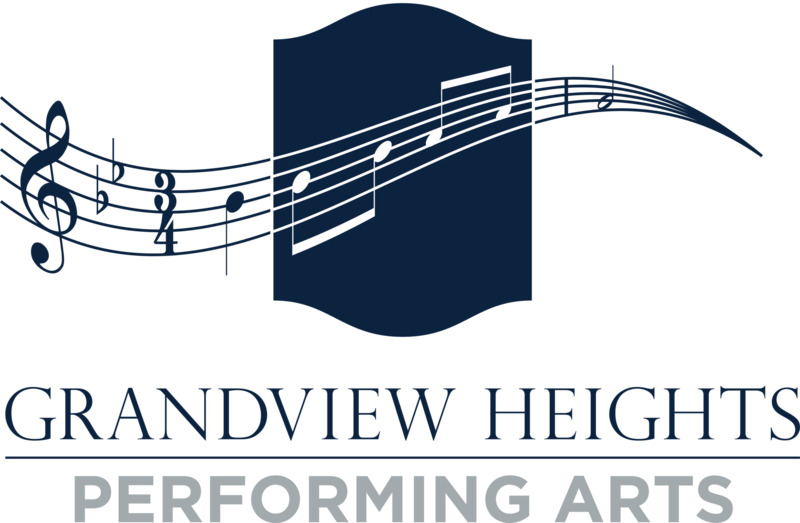 The Grandview Singers is a select chamber choir which studies and performs several styles of music throughout the school year including art music from all style periods, madrigal music, vocal jazz, and popular music with occasional moderate choreography. Only students who can maintain the highest standards of musical excellence through choral performance and rehearsal are permitted to hold membership in this ensemble. Members are chosen by an audition process, which takes place at the end of the previous school year. An above average level of commitment and cooperation during all rehearsals and performances is required. Emphasis is placed on a greater mastery of performance and vocal production skills within the repertoire of progressively challenging music. Membership in The Grandview Singers requires considerable responsibility both in and out of school time, which requires careful planning and time management from each student involved. The activities for this ensemble usually include the Fall Concert, the Vocal Music Boosters "Coffee House" Show, Holiday Concert (for the public and for the elementary/middle school students), OMEA Adjudicated Events Seminar, OMEA Adjudicated Events (District/State), Spring Cabaret, and Spring Concert/Awards Night. The Grandview Singers also perform a variety of "run-out" performances for the community during the December holiday season. Successful performance participation in all of these events is mandatory in order to fulfill the course grades.